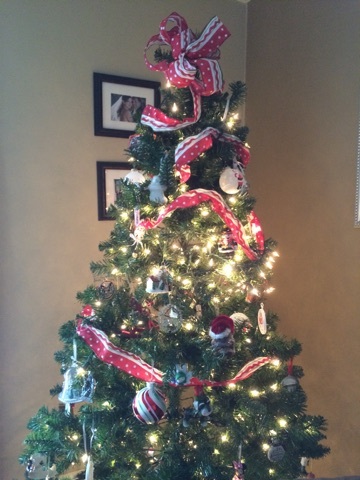 Confession: I almost didn’t put up my tree this year. 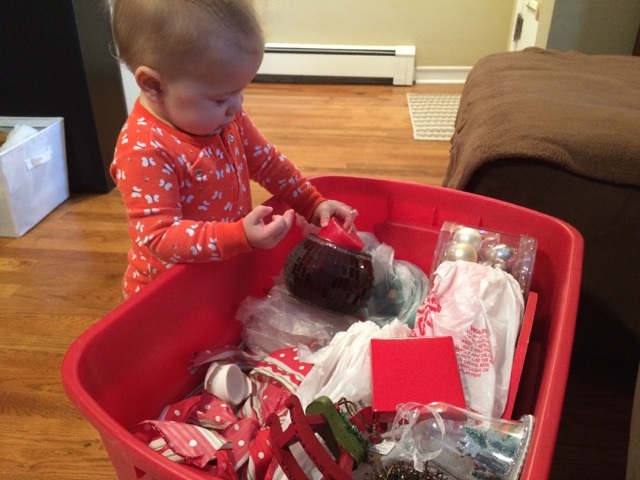 With my busy work schedule and active toddler, the thought of hauling the totes of decorations up from the basement and putting it all up seemed too much. But a good friend who is the busy mother of two boys under the age of three, said “do it.” And I’m so glad she did. I kept it simple this year. No outdoor lights. Decorations only in the living room and dining room. 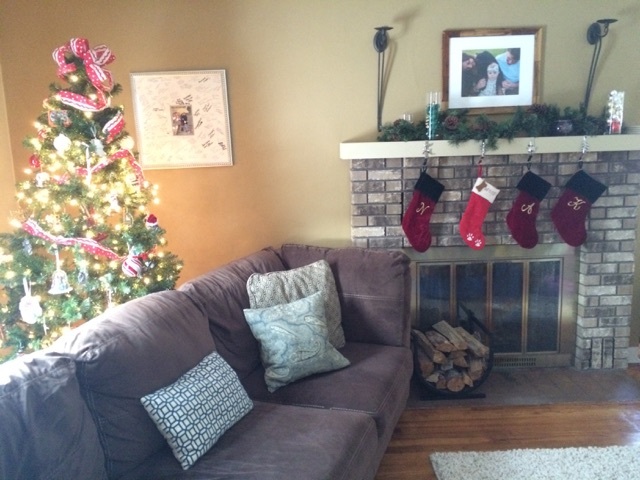 Careful placement of the tree behind the couch to create a barrier from little hands. 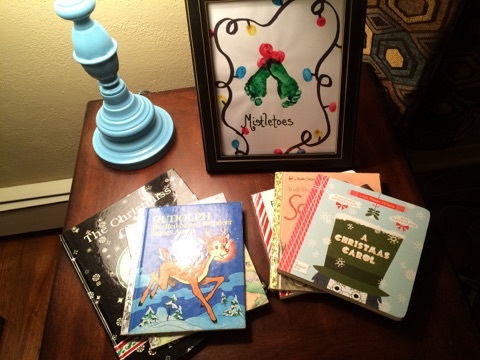 I made sure all our Christmas books are close at hand for evenings in front of the tree. Of course the girl was a lot of help. I hope you have a wonderful weekend making holiday plans, attending festive events, or just curling up with a mug of hot chocolate and a cheesy Christmas movie. We have a Christmas party to attend and will be riding on the float of our small town’s parade of lights. ‘Tis the season! This post was also featured on Faith-Filled Parenting. Check out Christa’s great writing on that site! Next postCan I Take Out a Restraining Order on the Elf on the Shelf? 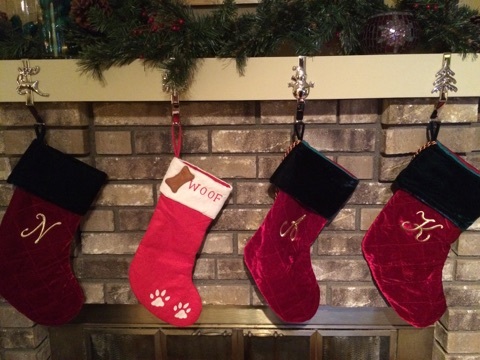 I love your stockings and your tree! They are beautiful (as is your helper)! I put up a few outdoor decorations and I set up the tree, but so far I think we have 3 ornaments on there. It’s really sad looking. Maybe this weekend! 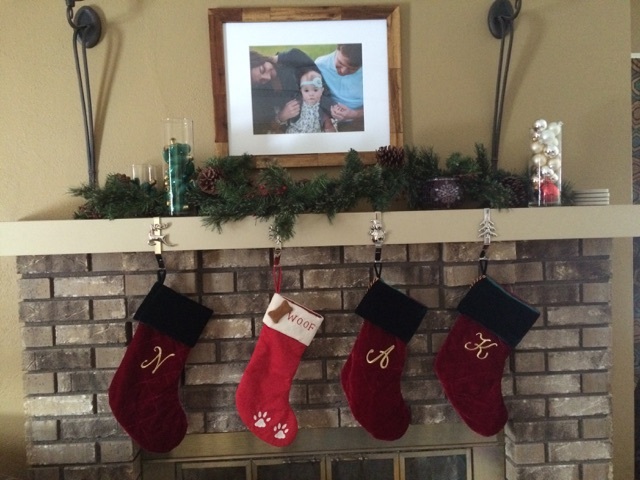 I love your mistletoes decoration too – s0 sweet! Thank you for linking up! Your decorations look beautiful. I myself take a simple approach as well as it seems to work better with the kids. Having the Christmas books out by the fire is a great idea. There is nothing better than reading in front of the fire. Merry Christmas!